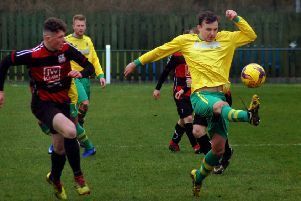 Melton Town boss Tom Manship is refusing to get carried away despite his team extending their incredible winning streak to 15 in all competitions on Saturday. 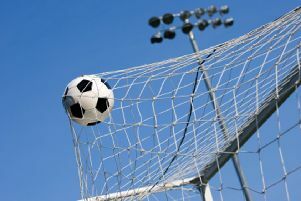 Town are four points off the top, but with a game in hand on new leaders Lutterworth Town who edged past Northampton Sileby Rangers 1-0 on Tuesday evening. And with both the leaders and fellow title rivals Anstey Nomads still to play, Melton’s fate is, potentially at least, in their own hands with eight games left. “We won’t change, we have approached every game and every team in the same way this season,” Manship said. “Our focus is just winning the next game in front of us and once it’s chalked off with the right result, we move on to the next game. While you could see Melton’s momentum as imposing, Town’s co-manager believes it makes their task all the more difficult as they become a target to be tested. “If anything it gets harder and harder because teams approach us as their cup final and raise their game,” he explained. While Town’s prolific attack may often get the headlines, racking up 88 goals in the league alone, their defence has also been making their bid for star billing, with a run of clean sheets as impressive as the winning run. Saturday’s 4-0 win at Lutterworth Athletic was their eighth consecutive league shut-out which also made them Division One’s most miserly defence, with just 25 goals conceded from 30 matches. “We have played seven different lads there this season and every one has stood up,” Manship added. “We have a game plan and philosophy of how we want to play, in and out of possession, and every lad has done their job in that.